Come and join our team of successful people in Victoria's fastest growing educational company. We are focused on providing VCE students and schools with the most comprehensive educational programs and resources. Helping VCE students be the best they can be. 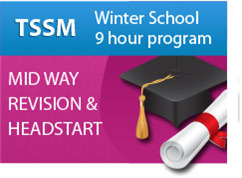 TSSM is the leader in innovative educational programs with the mission of assisting students to create VCE success. With our unique and modern educational structure, we are committed to providing senior VCE students with the most professional teachers and specific examination revision programs and resources. TSSM employs academic staff to help develop courses and resources for VCE students in their subject of expertise. This is an extremely important role in helping TSSM fulfill its mission. Due to our phenomenal rate of growth, we require more academic staff with the highest work standards to join our current team. 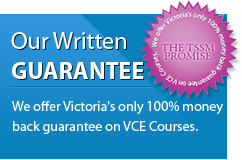 Write, update and proof read VCE material (course notes, questions and answers). Write and proof read Trial Examination Papers for Units 1 to 4. Write and proof read Key Topic Tests for Units 1 to 4. Write and proof read Targeted Evaluation Tasks for School-assessed Coursework for Units 1 to 4. Write and proof read our Teach Yourself Series topics for units 1 to 4. Present at Head Start courses for Units 1 to 4. Present at Exam Preparation courses for Units 1 to 4. You must possess excellent written and verbal communication skills. You must be extremely familiar with the current VCE syllabus. This involves having knowledge of all assessment tasks including SACs and examinations for the subject. You must be willing to thoroughly and slowly explain all information pertaining to our programs in a clear and concise fashion. You must have a strong command of the subject matter, beyond an A+ standard. You must be able to teach the course material to an A+ standard and also ensure that all students are able to follow. You must be focused on the needs of the students and be flexible in a friendly study environment. You must be willing to work in a group if necessary. You must be a qualified VCE teacher in Victoria who is currently teaching, with ample VCE experience. You must be proficient in the use of a computer. You must have access to electronic mail and you must know how to use it. What time commitment is to be expected? The successful applicants will join a team of excellent teachers in their areas of expertise and will be involved in completing a wide range of tasks at different times during the year. Therefore an approximate weekly time commitment is difficult to provide as this will differ at varying times during the year. The annual workload for each subject is shared amongst all academic staff within the subject as all our academic staff are full time secondary school teachers. All of our Academic staff members are given six months notice for writing trial examination papers, targeted evaluation tasks, key topic tests and teach yourself series resources. All of our Academic staff members are given two months notice prior to the presenting of courses and prior to the writing and updating of course notes, questions and answers. Academic staff must commit to attending two, one hour staff meetings per year. This is a casual position however applicants must be willing to be committed and reliable. As we respect the privacy of our Academic Team, the remuneration offered will be disclosed during our interview process and not prior. I am interested in a position, how do I find out more? 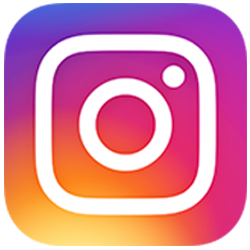 Our website is very extensive and a great area to start learning about the type of programs we run and the material we publish. So please spend some time learning about the company and if you have any further questions please call us on 1300 134 518 to ask any questions, otherwise read the next section below. If you feel that you possess all of the above criteria then please forward your CV and a cover letter to info@tssm.com.au. Once you have done this, a selection officer will contact you regarding your application.